Star Deepwater Petroleum Limited (a Chevron company and operator of the Agbami unit) and its parties in the Agbami field, Famfa Oil Limited, Nigerian National Petroleum Corporation, NNPC, Equinor Nigeria Energy Company Limited, and Petroleum Brasileiro Nigeria Limited, have received award for their contributions towards eradicating Tuberculosis (TB) in Nigeria. 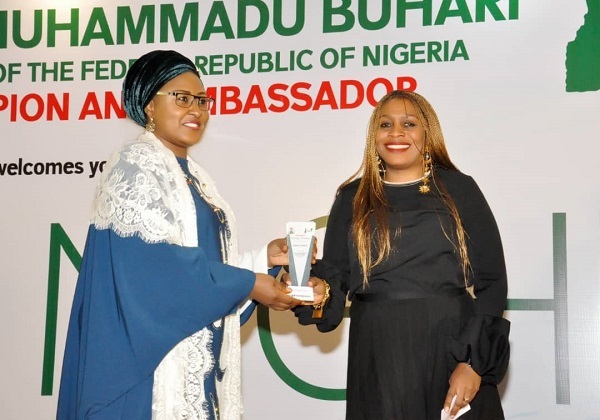 The award was presented to the Agbami parties by the wife of the President and Global TB Champion and Ambassador, Dr. Mrs. Aisha Muhammadu Buhari, at a Gala night to celebrate TB Champions and Survivors in Nigeria, which took place at the State House conference centre, Aso Villa, Abuja on Sunday March 24, 2019. 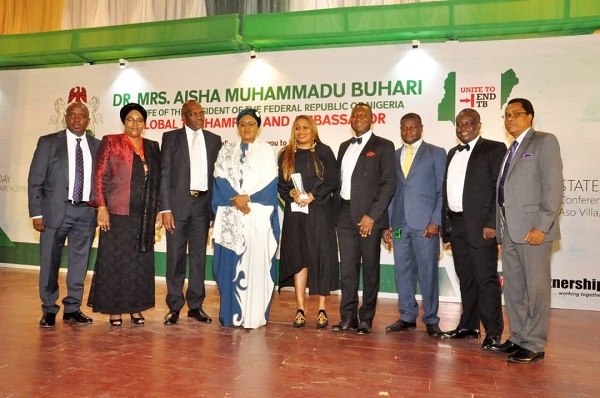 Chevron’s General Manager, Deepwater Operations, Michelle Obatoyinbo received the award on behalf of the Agbami parties at the event, which was attended by several dignitaries including members of the National Assembly, representatives of the Minister of Health, the diplomatic community, representatives of the entertainment industry and non-governmental organizations, representatives of Global TB Partnership, Geneva, Board members and partners of the Stop TB Partnership Nigeria (the organizers of the event). The Director, Star Deepwater Petroleum Limited, Rick Kennedy, who spoke on the “Case of Agbami Parties: Using Corporate Responsibility to end TB in Nigeria,” highlighted the efforts of the Agbami parties in delivering value and improving lives in Nigeria through its social investments in the areas of health, education and economic development. Represented by Esimaje Brikinn, Chevron’s General Manager, Policy, Government and Public Affairs (Corporate Affairs), Mr. Kennedy stated that in the efforts to end TB in Nigeria, the Agbami parties have made appreciable investments in chest clinic infrastructure with modern facilities and state of the art equipment, and sponsored awareness and advocacy programmes in vulnerable communities; built the capacity of health workers as well as provided safeguards for protecting health workers. He informed that the Agbami parties have built, equipped and donated 28 standard chest clinics with consulting rooms; fully equipped laboratories with mobile X-ray units and gene expert machines, in health institutions across the country to help facilitate the diagnosis of susceptible and resistant tuberculosis. The Agbami parties have also supported production of National TB Guidelines as safeguards for health workers that provide care for TB patients According to him, the chest clinics and their sponsorship of civil society partners on advocacy campaigns have increased awareness in the communities on HIV/AIDS, malaria and tuberculosis. while. “Tuberculosis Awareness Campaigns have been carried by the Agbami parties in 10 high burden states of Lagos, Kano, Kaduna and Rivers, Nassarawa, Akwa Ibom, Oyo, Benue, Delta and Sokoto States, reaching over 60,000 community beneficiaries,” he stated. He stated that since 2008, the Agbami parties have spent about N16.6 billion ($2.7million) in building and equipping chest clinics in Nigeria. “We are very encouraged by the positive impact these investments have made in supporting the government’s efforts towards eradicating TB in Nigeria,” he remarked. Beyond the health sector, the Agbami parties have also made substantial investments in education infrastructure, especially in Science education through the building and donation of science laboratories and hybrid/conventional libraries to schools across the Nigeria. The parties have also spent over N8.4 billion in the Agbami Medical and Engineering Professionals Scholarship. 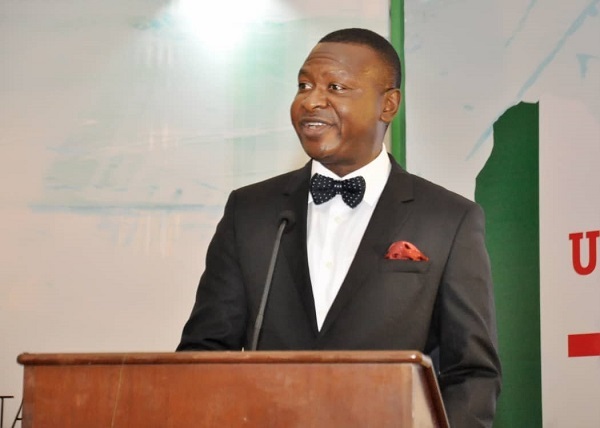 “Over 16,300 students from all the states of Nigeria have benefitted from the scholarships, among which an impressive total of 456 have graduated with first class degrees”, the parties noted. The Agbami parties were also commended at the Ministerial Press briefing on Tuberculosis that took place on Monday March 25, 2019 at the Sheraton hotels Abuja. Represented by Dr. Paul Arenyeka, CNL’s Medical Director, the Director Star Deepwater Petroleum Limited, Rick Kennedy presented a paper on the role of the Private sector in reaching the United Nations High-Level Meeting (UNHLM) on TB targets and the contributions of the Agbami Parties.